Conventional mortgages vary from loan to loan. However, they can be divided into two categories: conforming and non-conforming. Conforming loans carry many advantages over non-conforming loans, however at times borrowers have no other option but to choose non-conforming loans. Below is a detailed description of the both types of conventional loans, their guidelines and loan limits. A conforming loan is a conventional loan that conforms to the regulations created by Fannie Mae and Freddie Mac. Of these regulations, the most common consideration regards the maximum amount of money available to borrowers. Depending on the county in which the property resides, loan limits for conventional loans vary. In the majority of U.S. counties, the maximum conforming loan amount is $417,000, although in more expensive counties, borrowers may secure more through super-conforming loans. Conforming loan limits can change annually, depending on the circumstances. In addition to loan limits, conforming loans must also satisfy guidelines on the borrower’s debt-to-income ratio (DTI). Debt-to-income refers to the ratio of your monthly payments against your gross monthly income. Borrowers with monthly payments totaling up to 45 percent or more than gross monthly income may not qualify. 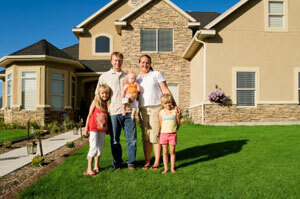 Many borrowers choose to secure conforming loans due to their low mortgage rates. Borrowers who do not qualify for conforming loans for one reason or another may still acquire a non-conforming loan, or a conventional loan which fails to meet the necessary criteria of the GSEs. Borrowers may seek non-conforming loans for several reasons, including higher loan limits, less stringent credit requirements, or more freedom in fund application. Though typically the only option for borrowers who acquire them, non-conforming loans have many disadvantages compared to conforming loans, such as less favorable interest rates, additional upfront fees, and mandatory mortgage insurance. Note that some states set legal limits for non-conforming loans used for residential real estate purposes. The most recognizable type of non-conforming loan is a jumbo loan. In fact, the term “jumbo loans” include any conventional loans, which loans exceed Fannie Mae and Freddie Mac loan limit requirements; consequently, jumbo loans do not conform. If you are purchasing a home in a county where the loan limit does not cover the cost of the home, you may consider securing a jumbo loan. Jumbo loans are somewhat more difficult to acquire. To compensate for the risk involved with lending such large amounts of money, lenders typically charge a much higher interest rate.